ARTBA’s Transportation Development Foundation (ARTBA-TDF) has received a federal grant to train workers about fall hazards in the transportation construction industry. The new grant will provide 2-hour and 3-hour training to employers and workers in the road construction industry. The target audience includes workers employed by small businesses, Spanish-speaking, minority, disadvantaged, and other hard-to-reach individuals. Training topics will include roadway construction zone hazards and fall prevention. Instruction will be offered in Spanish. There are also plans to revise existing training materials. In 2013, falls represented 35 percent (291 deaths) of 828 fatalities in the entire construction industry, according to OSHA. The Federal Highway Administration says falls contributed to an average of 20 percent of road construction injuries. OSHA says that approximately 2.1 million workers have been trained through the Harwood grant program since 1978. The grant honors Susan Harwood, a former director of the Office of Risk Assessment in OSHA’s former Directorate of Health Standards. ARTBA TDF administers a variety of safety education programs and services through contracts and cooperative agreements with the federal government and other industry allies. 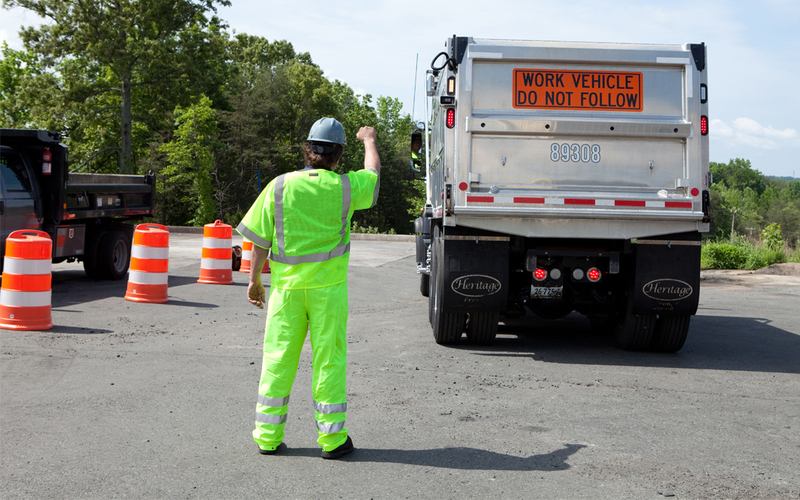 In addition to the Harwood grant, this includes the National Work Zone Safety Information Clearinghouse, The Federal Highway Work Zone Training program, and support of the National Committee on Uniform Traffic Control Devices. For more information about ARTBA safety training programs, please contact Brad Sant, senior vice president of safety and education.